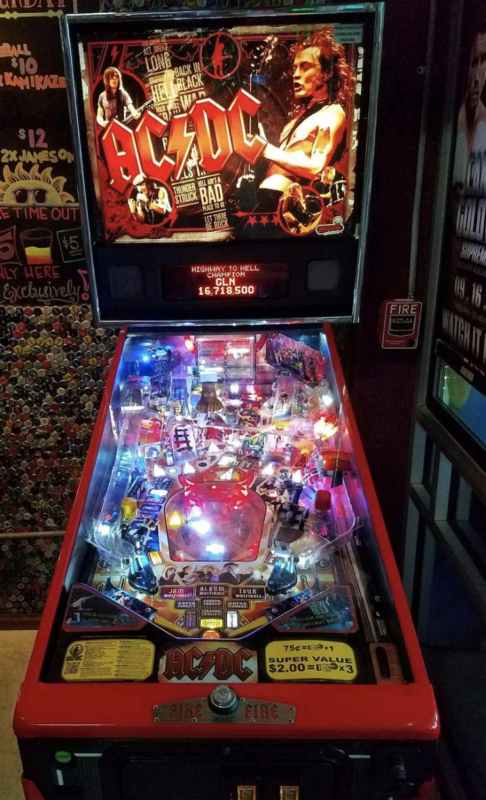 WHERE TO PLAY PINBALL IN SAN DIEGO — Are you looking for where to play pinball in San Diego with your friends? Time Out is the place to go! We have pinball, PacMan, foosball, Golden Tee Live 2018 and MORE! Our pinball machine is super, cool AC/DC themed! You’ll be sure to rock on and have a blast. Check out our events page to see if we have any pinball tournaments planned. We have three pool tables for three times the fun! Time Out also has Daily Specials, Happy Hour, a full menu, 29 rotating craft beers on tap, and a full bar! We are the perfect spot to enjoy any time, any day! Come by yourself and make friends or come with a group! Time Out is home to 29 rotating craft beers on tap. We feature beers from tons of different local breweries and some others from all around the country. There is a beer here for every taste! Want to know what beers are currently on tap? Click here. We also have a full menu equipped with both American and Mexican cuisines. Share appetizers between your table or all get meals to enjoy! With so many delicious options, the choice is yours! We also offer tons of food specials.